Leading technology companies including Microsoft Corporation and Verily are in their way of developing newer ways of fighting disease-carrying mosquitoes and the maladies cropping up from them. One such deadly virus that is borne by the mosquitoes is Zika. To fight with such deadly virus-carrying mosquitoes, technology companies are using robotics as well as automation for battling these maladies world over. Most mentionable aspect in such effort is that of the partnerships that are being forged by two technology giants (Microsoft Corp as well as Verily - California based life sciences company) with that of public health officials in multiple US states for testing their new advanced technology. Besides fighting the mosquito related problems through advanced technology, there are other technological advancements too. The most significant one here is the design and development of Gimball, which is a bouncy ball drone. This flying bot has the unique capability of continuing flying after colliding into things. Who are the Technology Giants in fighting the mosquito related menace? • Microsoft has developed a unique and smart way of trapping Aedesaegypti mosquitoes (the infamous carriers of Zika virus). The technology first isolated the concerned mosquito type and then captures them. It is currently being tested in Texas. Reports say that the current testing of this technology will provide the entomologists an advanced idea on predicting Zika virus outbreaks. • Verily is currently speeding up the process to create sterile male mosquitoes that will mate with the female mosquitoes in the wild and thereby act as a means of birth control for species. Verily is the life sciences division of Alphabet (the famous company that shelled out Google, the largest search engine), which is based in California’s Mountain View. An associate professor of entomology at the University of California, Riverside - Anandasankar Ray - reportedly said that it is extremely exciting to find out that technology companies such as Microsoft are coming on board in fighting the mosquito menaces including Zika. Engineering a solution to a biological challenge like that of Zika is really unprecedented and worthwhile indeed. What’s the Challenge on Ground for the mosquito deterrent technology? However, it will take long time for being available widely in the public domain. The greatest challenge will be to make these technologies available to general populace because the traditional defences against mosquitoes and the related menaces are still dependent upon insecticides and larvicides. How Big was/is the problem of mosquitos? The need for controlling mosquito-led diseases erupted when Zika epidemic emerged in the year 2015 in Brazil. This outbreak adversely affected many babies in the country as they took birth with birth defects and deformities. This added urgency to the effort that was being channelized for quite sometime now. Though the spread of the Aedesaegypti and Aedesalbopictus viruses slowed down significantly in Brazil, the menace is spreading quickly and dangerously in the USA, especially in the southern parts of the United States of America. Reports say that the spread to the US occurred mainly through the travellers who visited Brazil. It has been found out that there has been 5,635 reported cases of Zika in the US so far that were primarily caused when the persons visited Brazil. However, the Zika menace is spreading quickly to US and it has been reported that local mosquitoes have also started spreading Zika virus. This has been recorded mainly in the states of Texas and Florida. This is the reason whythe technologycompanies are choosing these states as the prime testing grounds for their new technology to defeat virus-carrying mosquitoes. How does the Technology Work in eliminating virus-carrying mosquitos? • One of the first testing grounds has been set-up in Harris County of Texas by Microsoft. City of Houston also comes in this county. Ten mosquito traps created by Microsoft are currently operating in Harris County. The device created by Microsoft is small in size and is as large as the birdhouse. Some of the advanced technological advancements used are robotics, cloud computing, ma chine learning, and infrared sensors. With these devices, the health officials keep a check on the potential disease carriers. The machines created by Microsoft differentiate insects from the Zika virus carrying mosquitoes by checking out the shadows cast by their beating wings, which are different for the latter from the former ones. Once the trap find such a mosquito with Zika virus, one of the 64 chambers slams shut the door. • Another technology that is becoming very popular is the creation of genetically modified male mosquitoes that mate with the Aedesaegypti mosquitoes. However, when the time comes to hatch eggs, the eggs don’t hatch. These are the ways how advanced technology is being used for checking Zika virus carrying mosquitoes. 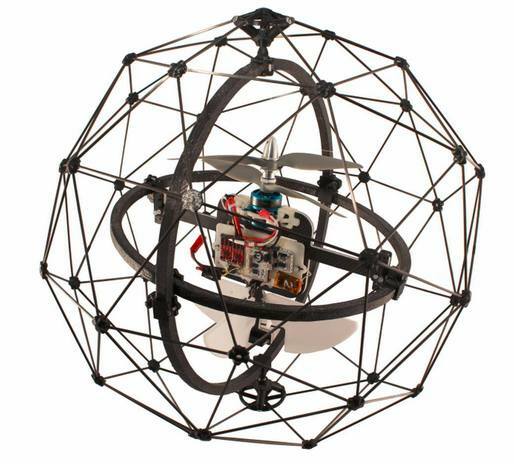 Gimball flying robot has been designed by Flyability. This technology advancement will help make proper rescue in places such as nuclear meltdowns, chemical leaks, and situations of fire outbreak. Gimball is going to be highly useful in cases where sending humans are too risky. When compared with other bots, Gimball is more advanced because of the simple fact that they don’t become stationary like other robots upon collision. This bouncy “Gimball” Technology keeps on flying even after collision. It is the USP of Flyability-designed bouncy ball drone. These show that technological advancements are helping us to not only fight back against mosquito and other insect related menace but also help us collect data from regions that are too risky for humans to go near.